With a second place at the legendary spring classic Paris-Roubaix the German cyclist Nils Politt celebrates the biggest success of his career. He must be a veteran from Belgium failed. “Second in Roubaix is incredible, which is quite emotional,” said Nils Politt, totally exhausted and dirt-smeared. Minutes of the 25-year-old German professional cyclist from the Team Katusha-Alpecin and his wife Annike layers in the venerable velodrome of Roubaix in the poor – overwhelmed by the feelings of happiness of a splendid day. Later Politt revealed that there was another reason for the great emotions: His wife is pregnant, expected in mid-July, the daughter will come to the world. Just Politt, who had already convinced as Fifth in the tour of Flanders had missed the Sensation at the culmination of the spring classic season. 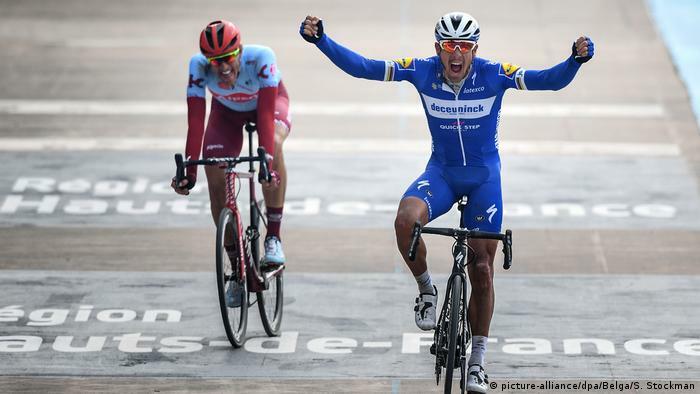 Only in the Sprint in the velodrome, he had to be the Belgian veteran Philippe Gilbert from the extremely strong Team Deceuninck-Quick-Step beat. “Gilbert played the game, and I was no longer just a solid Sprinter. To lose to Gilbert is not a shame,” said Politt in the ARD. Ex-world champion Gilbert has won in his long career, now four of the five “Cycling monuments”: in addition to Paris-Roubaix, the tour of Flanders, liège-Bastogne-liège, and even twice, the tour of Lombardy. Only in the case of the Milan-Sanremo, the 36-Year-old was never on the front. In the decisive Phase of the race, at this time, 29 of the infamous cobbled passages with a total of 54.5 km in length were manageable, had Politt attacked again and again. Favorites such as the three-time world champion and last year’s winner, Peter Sagan had to let rip, only Gilbert had been able to keep up at the end. 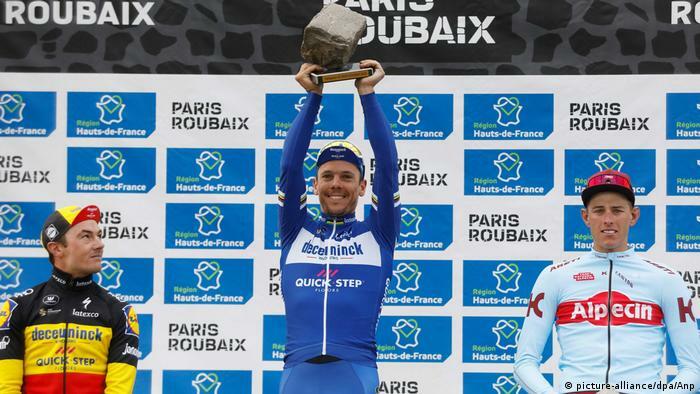 Even if it was not enough for Politt at the end of the Coup, it was the best German Roubaix-a result, since the Triumph of John Degenkolb, four years ago. Politt was the only tenth on the German all a podium place in the North of France. In his trophy collection of the traditional (in comparison to victory model, slightly smaller) paving stone is sure to get a place of honor.